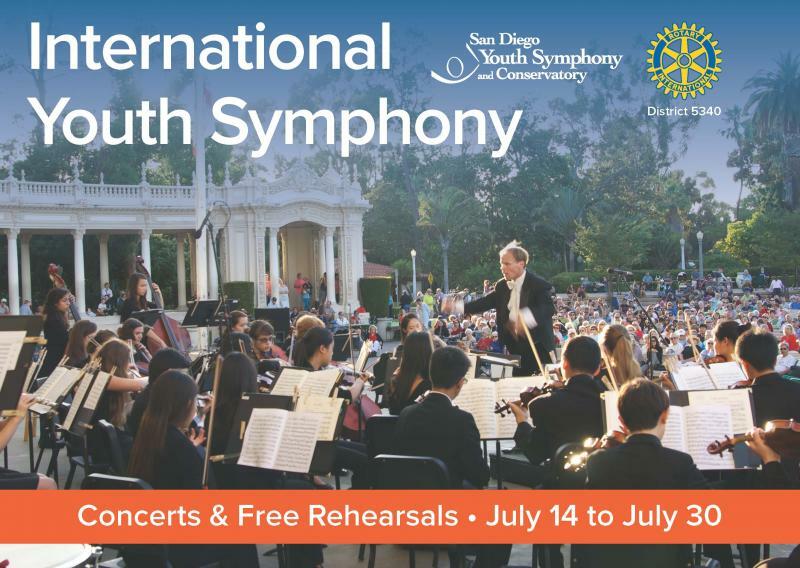 The International Youth Symphony (IYS) is a special partnership program between the San Diego Youth Symphony and Rotary International Youth Exchange. Every summer, this unique two week orchestral program brings together gifted conservatory musicians from around the world with exceptional SDYS musicians and distinguished instructors for an intensive and top quality orchestral and chamber music experience. 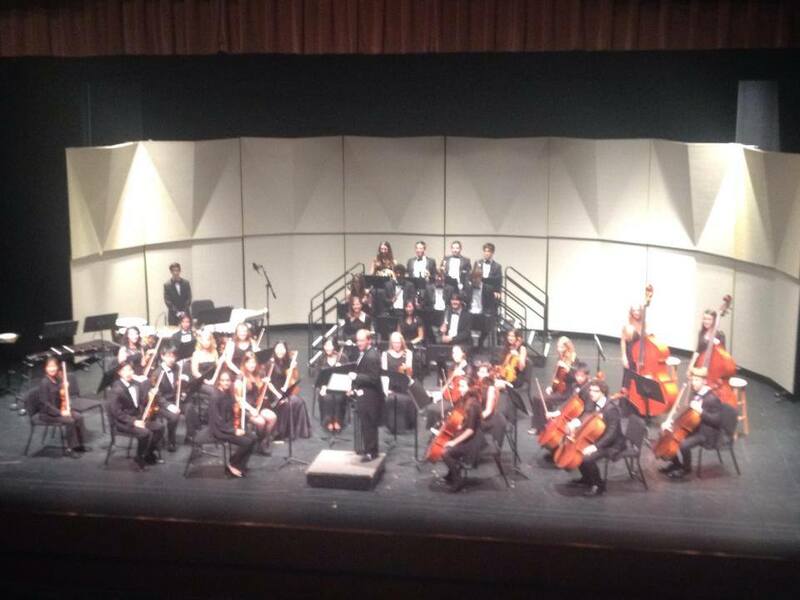 This year's performances included an outdoor concert at Spreckels Organ Pavilion, an intimate Chamber Music Recital at the Mingei International Museum, a Classical Concert at the Center Theater, California Center for the Arts in Escondido, and a sunset performance at the La Jolla Music Society's SummerFest Concert at Ellen Scripps Park in La Jolla. Rancho Bernardo Rotarians Dan Malloy, Ron Hunt, John Goodrich, Charley Crew, and other members contributed their time and talent in support of this year’s MusiCamp. Rancho Bernardo Rotary was one of the original founding clubs and supporters of this wonderful Youth Exchange program in District 5340. 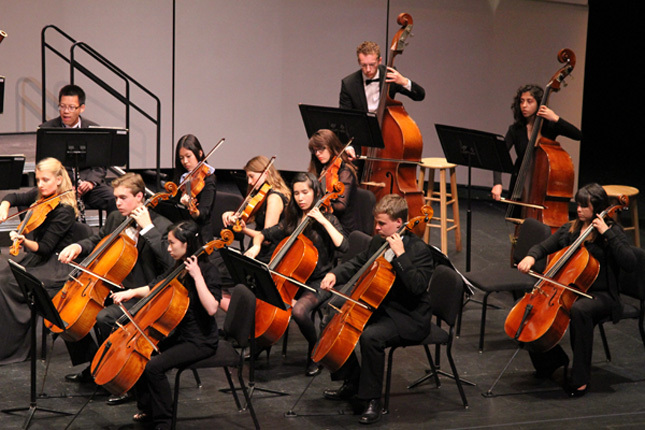 The club was well represented at the District Council Reception and Youth Symphony performance at California Center for the Arts in Escondido on Saturday evening July 26, 2014.